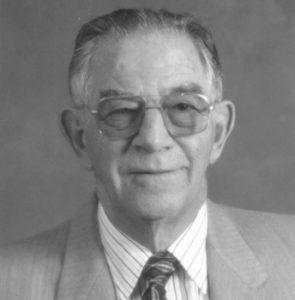 Art Condiotti, President of Condiotti Enterprises, Inc., was born in New York City in 1921, is a graduate of Brooklyn College, and attended both Notre Dame and Stanford Universities. During World War II, he served as a naval officer, leaving the service as a Lieutenant Commander. Art later served six years as an executive assistant with a developer/home builder, where he received his basic training in how to successfully and economically operate an organization of the type he now runs. He has owned and operated Condiotti Enterprises for the past 40 years, 34 of those years in Sonoma County. With the benefit of low overhead and maximum efficiency, hard work, and knowledge of the trade, Art began building homes priced at the lower median of the market. In the early 1970's, he also began building homes in the middle class range, and was again able to turn a profit, even during downturns in the economy. During the past 20 years alone, Condiotti Enterprises and its related entities have constructed over 10,000 single-family and condominium units, as well as 20 commercial buildings in the Lakepoint Business Park in Novato and elsewhere, and 192 apartment units in Santa Rosa and Rohnert Park. They are also holding numerous properties in Hawaii, i.e., Windward City Shopping Center, Dillingham Shopping Center, Waipahu Shopping Center, as well as the Queen Emma office building in Honolulu and the Pali Palms office building in Kailua Bay. There are additional commercial projects planned for the future in addition to extensive residential construction. ​The Condiotti organization, which is comprised of Condiotti Enterprises, Inc., Debra Investment Corporation, Oceanis, a partnership, Danco Management, and various other partnerships, has been very active in the Building Industry Association, the North Coast Builders Exchange, the National Association of home Builders, and various other local and national service, building industry, and political organizations. Art strongly encourages the other members of his management team to participate in these organizations, and has been very generous in providing financial support to achieve the goals of the various organizations as they relate to the construction industry. Art also actively supports local educational, cultural, and humanitarian causes.